Organic fertilizers are animal excreta and composted remains of plants and animals. Guano (includes Chile saltpetre) are droppings (and remains) of seabirds that for centuries were growing meters high on small islands. Bat guano are nitrogen-rich droppings of bats that are accumulated for thousands of years in caves in thick layers. Chile saltpetre is of organic origin, but is artificially processed in a factory, and hence allocated to synthetic fertilizer. Chemical fertilizers are products of non - biological origin used as food and given to promote the growth of crops. The German chemist Justus von Liebig (1803-1873) (who also made ​​ beef extracts, the Oxo brand, beef bouillon cube) is considered the inventor and first user of fertilizer (1850). He examined what elements plants need to grow. The main elements are nitrogen, phosphorus, potassium, accompanied by (Ca), sulfur (S) and potassium. Trace elements are the metals iron (Fe), zinc, copper, molybdenum, boron and manganese (Mg), also gravel or silicon (Si). Silicon and sulfur are usually sufficiently present in the soil. The composition is usually displayed in ratios for the main elements. NPK fertilizer 12 +10 +18 for example, contains 12% nitrogen (N: nitrate, of which 7% N-NH4 and N-NO3 5%), 10% phosphorus (P2O5) and 18% potassium or potash (K2O). Nitrogen (N) ensures the vegetative growth of the plant. It is a component of chlorophyll, the fabric that colors leaves and stalks green. It also makes plant proteins in the plant. 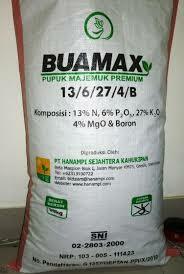 Phosphorus (P) ensures a good flower and fruit set, and good root development, tuber formation and maturation. Potassium (K, kalium) increases the strength and resilience of the plant. Advocates of natural methods as biodynamic crops argue that dead matter and minerals not feed a living organism so well nor keep it healthy. Imagine that people would live on water and some pills with the necessary nutrients. We would soon have lost all resistance. Tests with cremated remains of organic crops versus modern agriculture show that organic crops hold more solid matter. Fertilizer forces plants to growth too rapid. As a result, longer cells are formed, which are less strong and are easily attacked by bacteria and insects. A healthy, varied and active soil life provides a fertile soil with compact plants with stronger root systems and more disease resistance (and more flavor). Some even claim that truly healthy and sturdy plants are virtually unaffected. Because mineral substances are readily soluble in water, is an excess of nutricients flushed by the groundwater to the surface water. The environment is polluted and resources get depleted. Fertilizer costs a lot of energy (production and transport) and pushes plants (fast cell division and stretching) which makes them tall, but also weaker and less resistant. Organic manure and compost feed the soil and its biomass, which in turn frees substances that nourish the plants.